Hello, again! I'm so happy to have you visit. This won't be a long post but I'm trying to catch up with my 12 Tags of Christmas Funkie Junkie Style! I got behind in October and I've had a really difficult time catching up. But, I'm getting there! There is only one more tag to go and Linda just posted it. It's gorgeous! But, that will come later! For now, I'm up to tag 10! And, I really, really like this one. I called it a Woodland Christmas because of the colors. They are different for me for this season but I love the way it turned out. Let me get the particulars of this challenge out of the way so I can show you what I'm talking about. 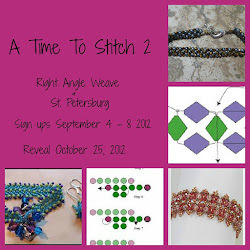 Linda Coughlin hosts this challenge every year and you can find the details and rules (there aren't many) here. 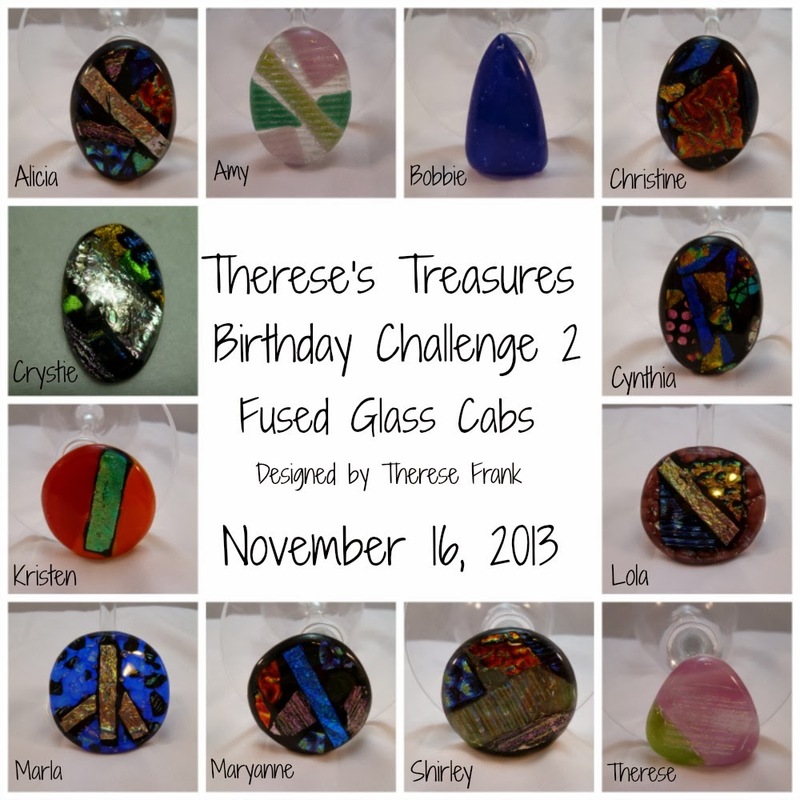 The challenge is sponsored by Linda's wonderful shop, The Funkie Junkie Boutique. You can find it here. Now on to what I made for week 10. I apologize for the picture. The color is awful but I was using my phone which usually does a better job but the day was dreary and I couldn't find a good light. 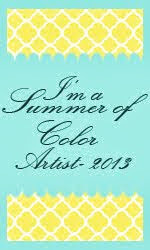 It was the colors of Linda's tag, which you can see here, that I loved. They were a little different, and to me, a little woodland. So, that was my inspiration. I started buy using DI to lightly stencil the holly in the lower left corner. 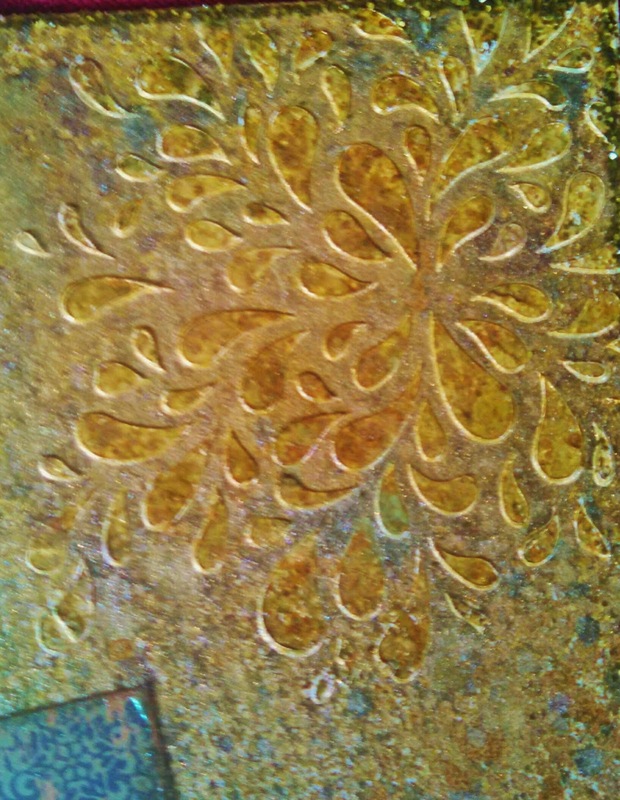 A Prima stencil was used in the upper right corner with heavy body gesso. I then used Tarnished Brass, Vintage Photo, Crushed Olive, and Peeled Paint Distress Sprays on the background. I left it rather light in some areas. I then used Perfect Pearls Spray in Biscotti all over the entire page. 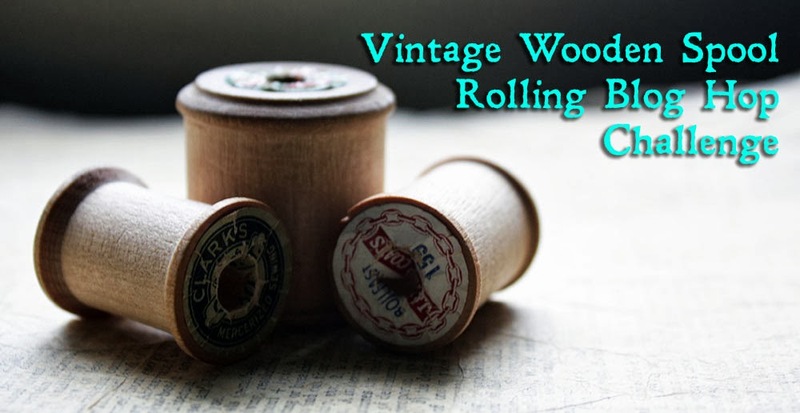 I used some Sunflower Sparkle Perfect Pearls in the area of the embossing and a few light spritzes in other parts of the tag. The card with the sentiment was from Kaisercraft. It was the perfect color and I loved the sentiment. 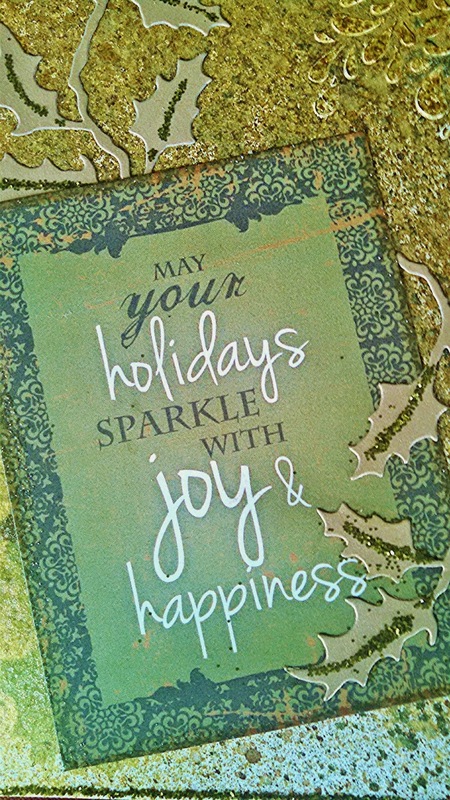 I cut some gold CS with the holiday foliage die and used a glue pen and Peeled Paint Distress Glitter to create veins. I glued those down and put the card over them. 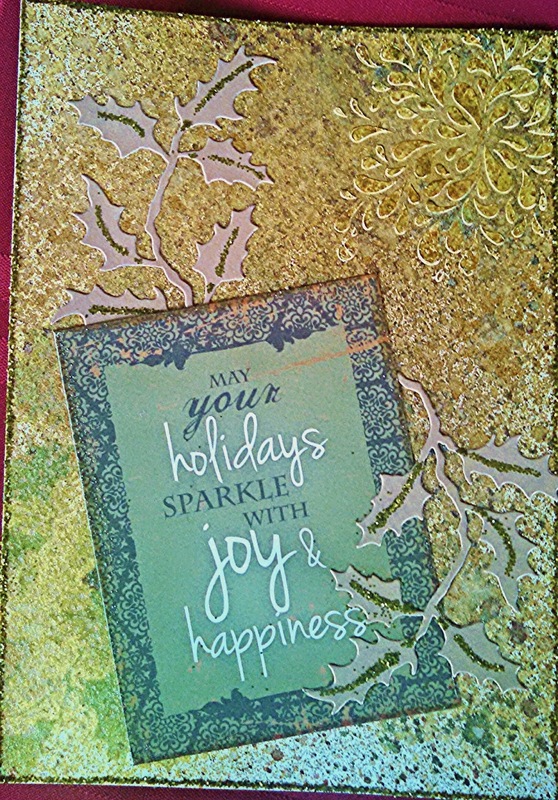 I had embossed the edges of the card with Lindy's Stamp Gang's embossing powder, Desert Moon Copper Pine. The edges of the pages were glittered with the Peeled Paint DG. Here are some close ups. And there you have my 10 entry into the this fun challenge. I'm off now to wrap some presents. I always say I'm going to wrap as they come into the house but I never quite make it! Ooh, you have a real eye for colour - this is gorgeous and those colours blend so beautifully - I love it! Wow...those colors really pop on your embossing! And I agree with the comment above...you have such an eye for color! Beautiful! Funny...I always say that I will wrap the gifts as soon as I get them, too! Before you know it, I have a pile of them to wrap all at once! The problem with that is, the first one is usually wrapped so nicely...but...by the time I am done and worn out, the last few gifts are almost tacky! LOL! What fun! This is an inky masterpiece! Love the stenciling and all the inks and sprays. Gorgeous color and that sentiment card is perfect. So glad that you are getting caught up on the tags. The finish line is in sight!